From an earlier post you may have read that we went up this past weekend and rode a section of road known as “The Tail Of The Dragon”. It’s an 11 mile stretch of US Highway 129 in North Carolina and Tennessee that boasts 318 curves. I don’t think they’re lying. The stretch of road is near Robbinsville, NC and the Cherohala Skyway. We first rode this stretch of road over 4 years ago. When we did, there was one roadside photographer with one location set up. You could ride, go home and in a day or two look for your picture on the website and order it. There are now no less than 3 different photographers set up and some even have multiple locations. From looking at the web sites they’re pretty good at what they do and have invested in their equipment. For the most part their images are sharp and framed well, unlike some we’ve seen at other locations. 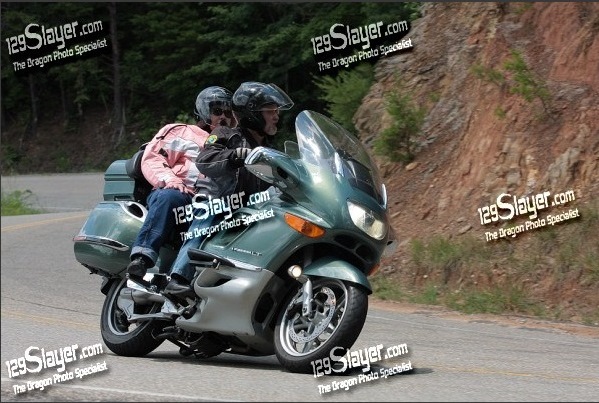 We’ve ridden the stretch of road several times but have never ordered any of the pictures. So this time we decided to order two pictures from killboy.com who is the original photographer along the Tail Of The Dragon. The pictures are from two of the three locations Killboy had set up that day. 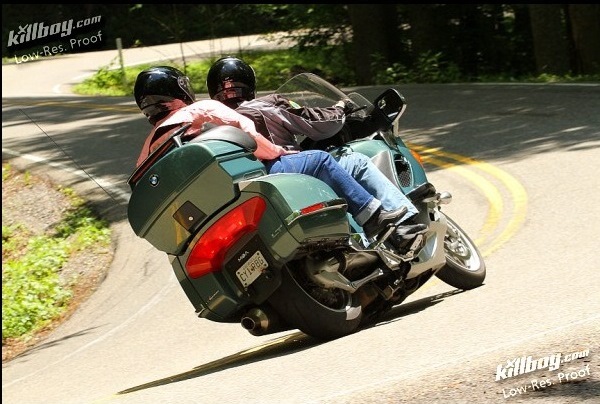 Photo taken by Killboy.com of us riding The Tail Of The Dragon. Captured riding The Tail Of The Dragon by Killboy.com. It seems many motorcyclists have heard of The Tail Of The Dragon but let’s face it, because of distances involved have never ridden it. I’ve added a picture here of the stretch of road for you to look at. Notice that there are no intersecting road other than the driveway at the southeastern end. The 11 mile stretch of road with its 318 curves. Don’t let The Tail Of The Dragon get you! Yesterday, here in the U.S. it was Father’s Day. My friend Sean and I (the two fathers) wanted to go for a ride. We didn’t want a short ride like a few weeks ago where we rode to lunch and then a short ride back home. We wanted a real ride! 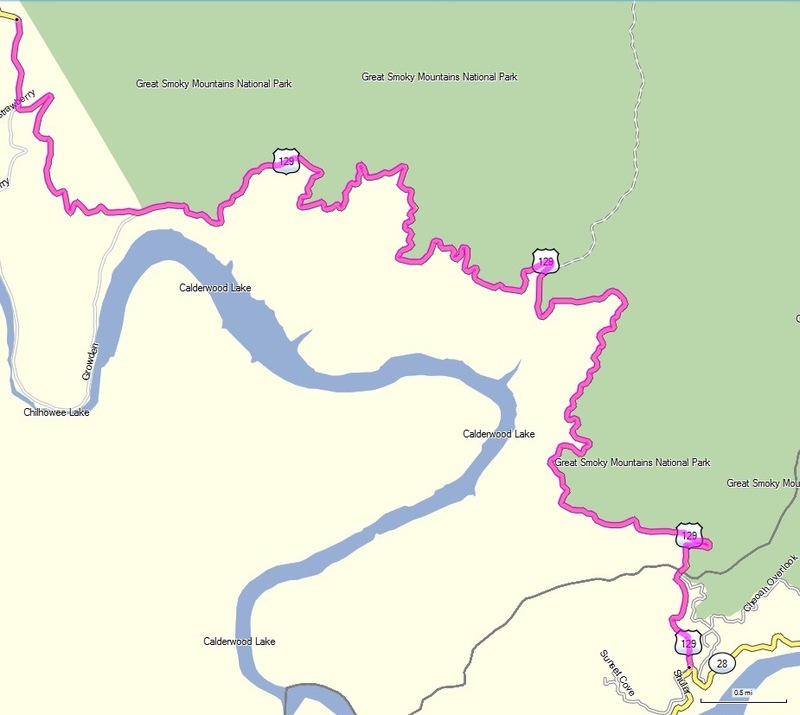 Sean planned a ride that would ultimately take us to Deal’s Gap and it’s 11 mile stretch of road known as The Tail Of The Dragon. Sean’s wife, Christine had never been there so that was the reason for our destination. We also wanted to ride some of the other roads in the area too. Sean planned out a route that would take us from home in Georgia on up into Tennessee and into North Carolina (the 3 states) before returning home. We met at Sean & Christine’s house early that morning for a hearty breakfast before the four of us (Donna & me and Sean & Christine) got on the road. Sean’s route took us from Woodstock, Georgia on up the road to exotic places like Blue Ridge, Copperhill, Duck Town and then a stop in Tellico Plains where The Cherohala Skyway begins. 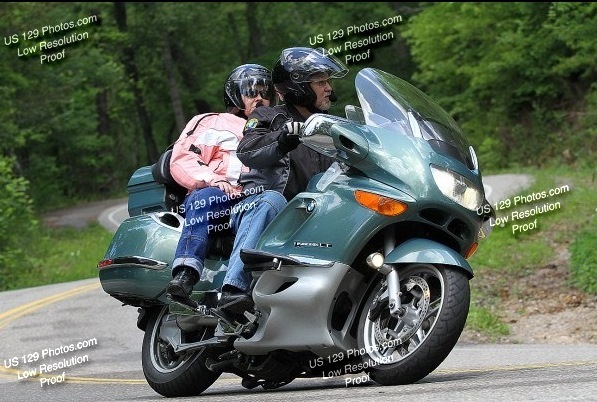 While at our stop in Tellico Plains we met a couple who was on a beautiful orange Harley Davidson Road Glide. He asked me how to get to the Cherohala Skyway and I told him “Just turn right out of the parking lot.” He asked “And then what?” I pointed to the brown sign right up the road and told him the Skyway began right there. We had a good laugh and we all looked at each other’s motorcycles and asked questions. 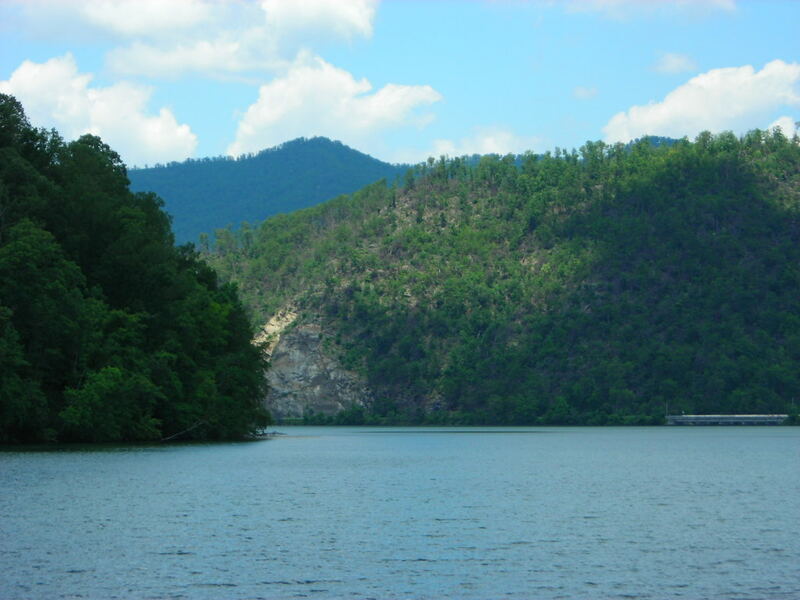 We got back on our motorcycles and headed for the brown sign but instead of taking the Skyway we made a left onto TN HWY 360 and headed for Vonore, TN and from there US 129 and The Tail Of The Dragon (sounds scary, doesn’t it?). If you’re not familiar with that stretch of road, it boasts 318 curves in 11 miles. Quite a number of the curves are sharp, hairpins and switchbacks. You have to really pay attention on this road. The road is not dangerous if you stick to the speed limit and stay in your lane. The problem is that many riders go up there and treat the road like it’s their personal racetrack and then get upset when people get in their way. 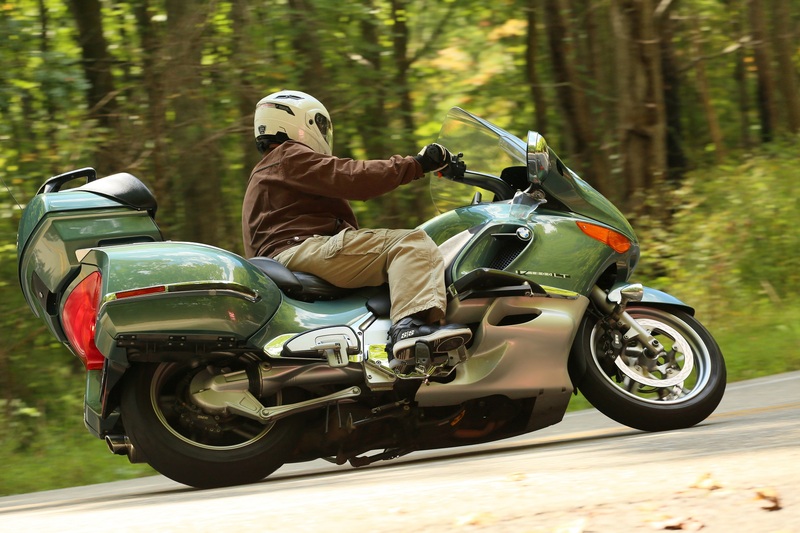 The trick to riding it on a motorcycle like our BMW K1200LT is lower gears and high revs so you can really lean into the curves. 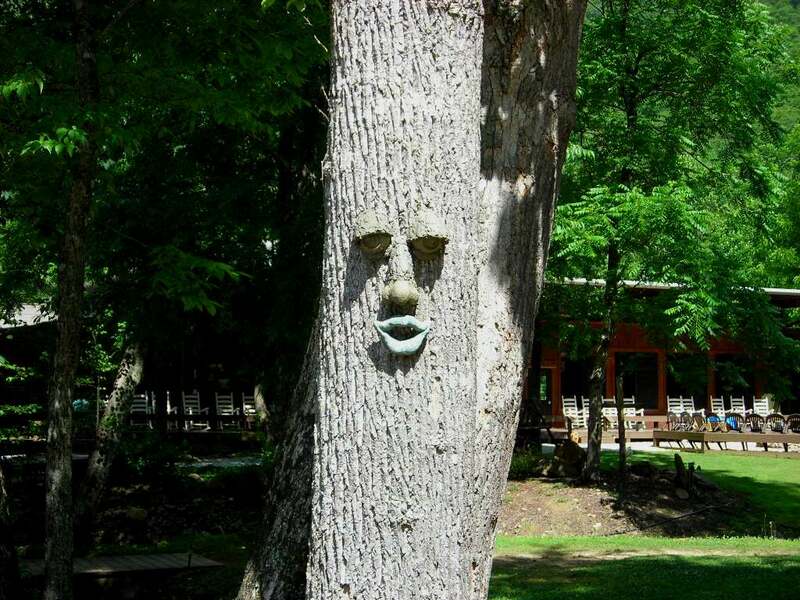 Now let me vent a bit. If this kind of road scares you then stay off it. We were part of a parade of motorcycles that was behind 2 cars with Illinois plates who were driving at the speed limit and often well below it. When they’d come up to the roadside photographers they’d nearly stop! They passed nearly every paved pull-off without using them until nearly the end of the road. But I guess if I had my choice I’d rather have them being cautious and staying in their own lane than exceeding their abilities and crossing over into oncoming traffic, which is a common occurence up there. I’d also prefer them at the speed limit instead of the speeding sport bikes using the public roadway as a private raceway. Vent over. Once we rode The Tail Of The Dragon, we stopped in at the Deal’s Gap Resort/Store/Cafe to look around, mainly at the people show and motorcycles. Up in the cafe it look like a casting call for extras for the Sons of Anarchy! We looked around and took some pictures before we got back on the motorcycles and headed for Robbinsville, NC using NC HWY 28 instead of US 129. I will have to say that on this day, NC 28 was the much better ride than The Tail Of The Dragon. There was very little traffic on it’s up and down twists and curves. It was very fun. In fact there were a number of times that I not only scraped the side stand and center stand but went even further and scraped my foot pegs! WOOHOO! When we made it to Robbinsville Christine said that even in front of us she heard the scraping! We headed onto into Robbinsville for a late lunch at a Mexican restaurant the Donna and I have eaten at a few times. We pulled into the lot and saw the orange Road Glide from Tellico Plains in the lot! 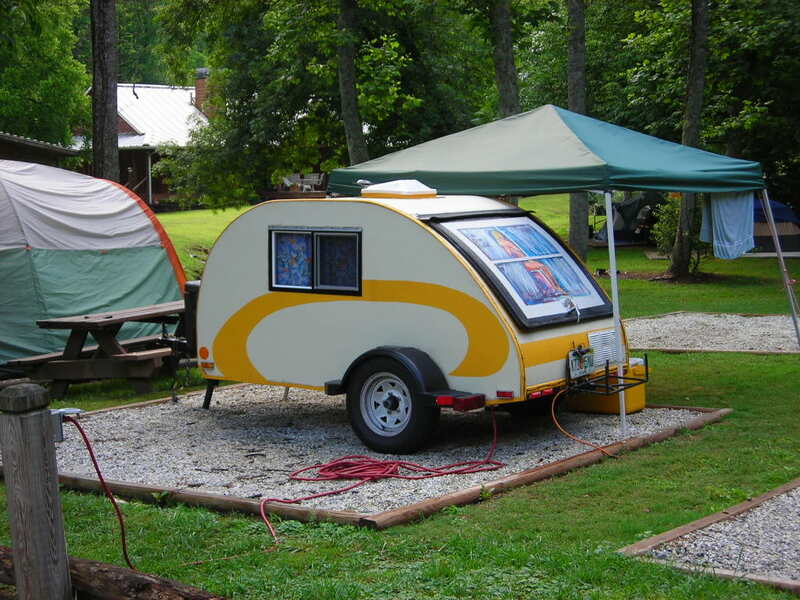 They had come across the Cherohala Skyway and found the same place to eat. We chatted with them a bit inside and then outside again as we all left after eating lunch. Our Day was now getting late so it was time to tell the GPS to find the quickest way home which took us through Andrews and Murphy North Carolina and then into north Georgia for home. Our little ride took us 331 miles from Sean and Christine’s house (for us add the 12 miles from our house to theirs) and into 3 states. Most of our riding was on two lane state highways and a few 4 lane state and U.S. highways. 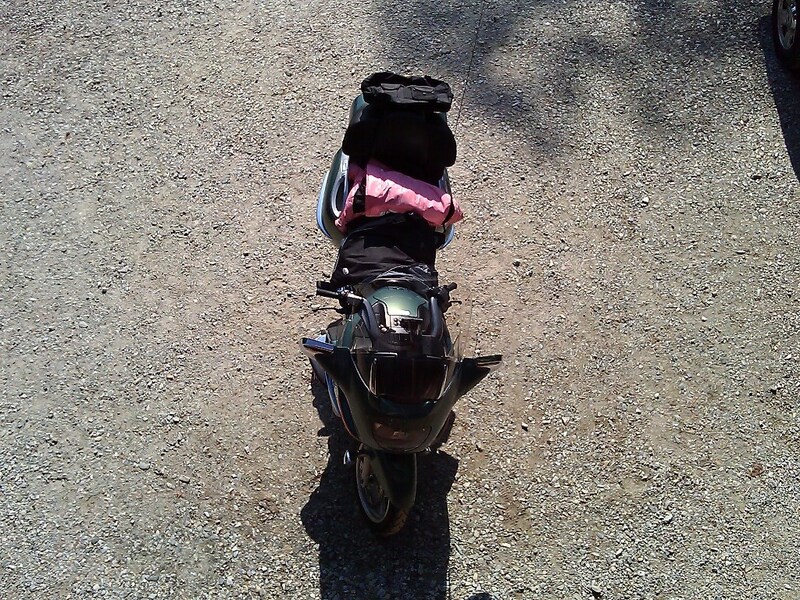 It was a really good day to be out riding and I slept real good that night! I tried out a new picture layout. If you point at the picture you’ll see the caption for it. If you click on the picture it will open it up to full size. North of Copperhill, TN headed for Tellico Plains, TN. The Magic Carpet and The Road Runner at Deal’s Gap. Part of the parking lot at Deal’s Gap. Sean, Christine, Chris & Donna (L-R) at Deal’s Gap. Our GPS track for the day. Around Andrews, NC while headed home. For May 2013, the member photo section of BMW Owners News (the monthly magazine of the BMW Motorcycle Owners of America) was “Curvy”. Well it looks like we’re “Curvy” because we’re picture number eight. 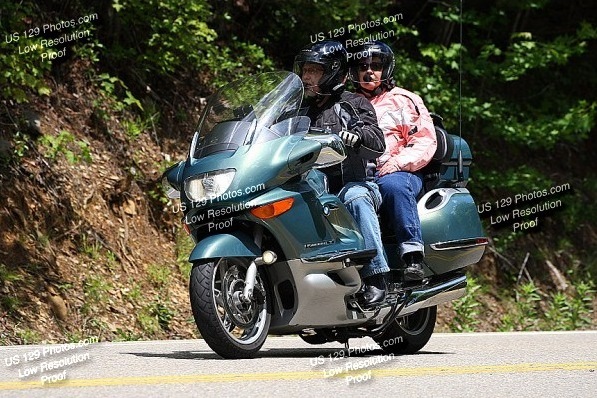 The photo was from a ride on The Tail Of The Dragon. How Do You Dress To Ride? If you’ve ridden a motorcycle for any length of time, you’ve probably noticed that many times the type of motorcycle being ridden influences the attire of the rider. Even if you don’t ride, you may have noticed the phenomenon. Here’s some of my observations and some I’ve been told about. 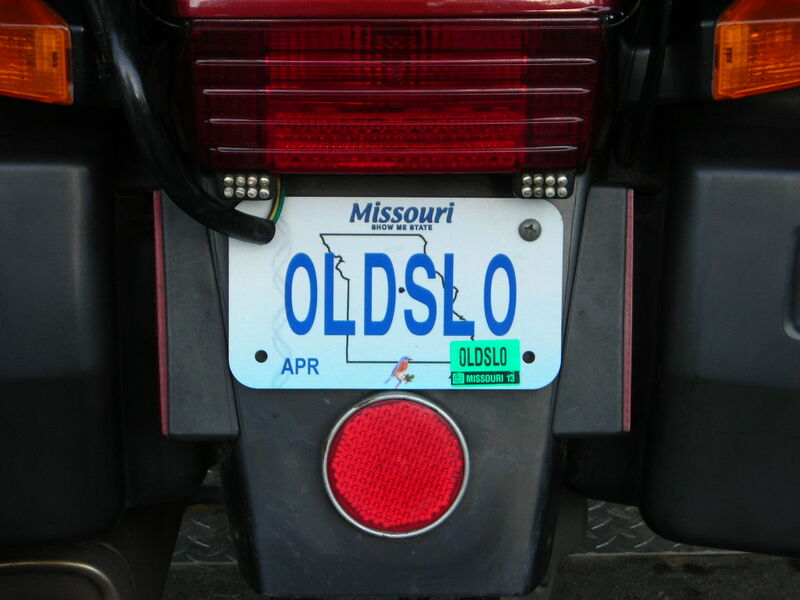 Pirates: These are often riders of Harley Davidsons and “metric” V-twin motorcycles. The pirate look can consist of things like jeans, boots (sometimes with buckles, rings or chains), a leather vest (sometimes with no shirt underneath) a bandana, earrings, long hair in a braided pony tail, fingerless gloves, a helmet that looks like a beanie (just because you have to wear one) and tattoos. Black seems to be the predominant color of the clothing. 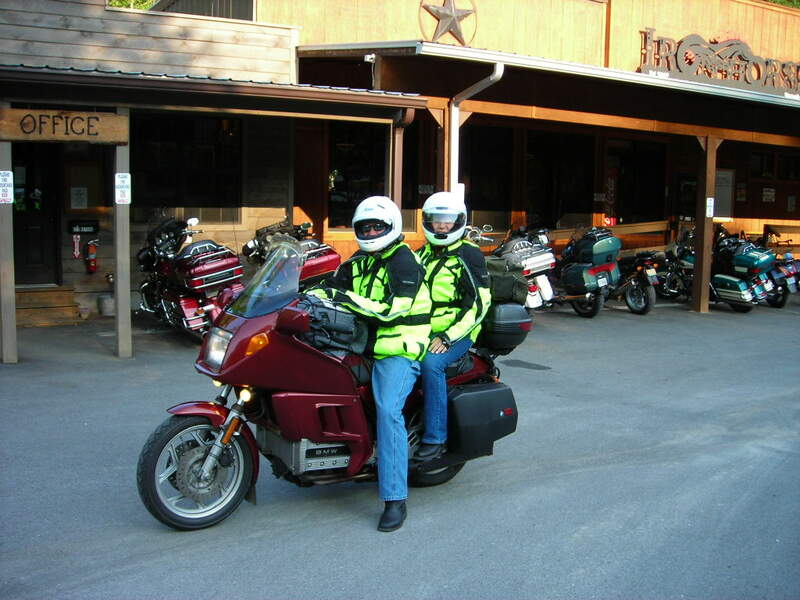 Armadillos: These are often BMW riders or dual sport type motorcycles like the Suzuki V-Strom or similar. You can spot an armadillo by the full face helmet, a jacket that has armor in the shoulders, elbows and back, pants that zip up the leg and have armor in the knees and hips, gloves (which are often armored too) and boots with shift pads on the left boot. The colors of an armadillo vary and are sometimes spotted in high visibility colors. Power Rangers: If you don’t know what a Power Ranger is go their website. These are often riders of sport motorcycles. You know, the ones that look like they should be on a racetrack. The riders are often attired in leather suits. But the full face helmet, leather jacket, leather pants, leather gloves and boots are usually in bright colors and all match. They are often armored like the armadillo. It can look pretty cool. I tend towards the armadillo but not quite. When it’s hot I may not be in the jacket but still wear the armored pants. But today I rode with some friends to funeral and then to lunch wearing regular jeans. I rode a total of about 75 miles and it just didn’t “feel right” not having the armor. It almost felt like I was wearing shorts and I didn’t like it. So what do you dress like to ride? Just don’t dress like this guy that Killboy.com captured on the Tail of the Dragon! On our trip earlier this week we had planned to spend Tuesday riding over to Franklin, NC and coming back on Wyah RD. But morning rain at the Iron Horse that was headed to Franklin altered our plans a bit. 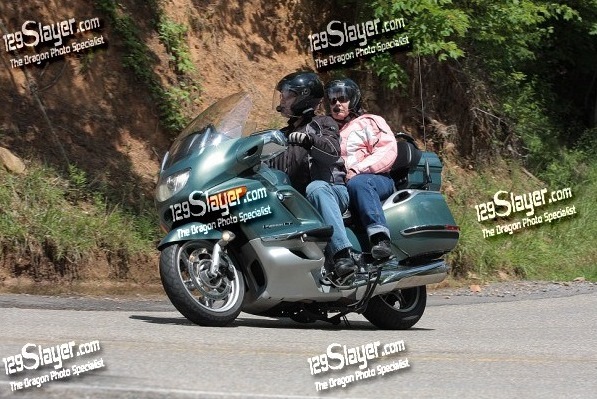 Instead, we decided to do the tourist thing and headed over to Deal’s Gap and rode the Tail Of The Dragon. We’ve been on this road a number of times. There are nicer, less crowded roads in the area but it can still be a fun road. The Deal’s Gap Resort and store had a packed parking lot but there really weren’t all that many motorcycles on the road. There are now three groups of photographers along the 11 mile stretch of road! There’s 129 Slayer, US129 Photos and Killboy. They’re all pretty good, not even moving as you approach, staying still and trying not to be a distraction. All three offer photos for sale on their websites and I’ll admit that it can be cool to have an action photo of you and your motorcycle. All three had taken a number of photos of us and we may purchase one, but we have to decide which one. In the proof images below they even have their website addresses for examples of their work. I actually think all three are better than the photographers on Blood Mountain in Georgia. The images, even the proof images seem more in focus and sharper. And, since these are “proof” images the watermark gives them credit and advertising for their work and these images are here as an example of their work. On any images ordered (digital or print), the watermarks are removed. Tail of the Dragon photo from 129 Slayer. US129 Photos picture from The Tail of the Dragon. Tail of the Dragon photo from Killboy. 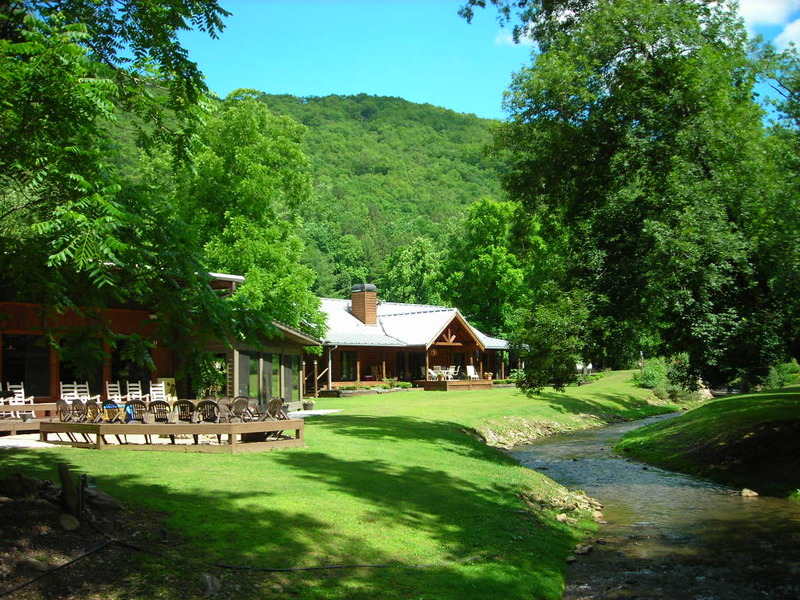 A few months ago a fellow BMW MOA member, Mike had asked for suggestions on roads and places to stay while he and his girlfriend Wendy were planning their motorcycle vacation to Great Smoky Mountains and the Blue Ridge Parkway. I was one of the members who chimed in with suggestions. A while back he emailed me and said that on part of the trip they would be in north Georgia and wondered if we’d like to show him some nice roads to ride before they headed on up to the Iron Horse Motorcycle Lodge in Robbinsville, NC that day. I was honored and accepted so we made plans. Those plans morphed. Donna had me call the Iron Horse to see if we could get reservations for two nights and we’d ride on up with Mike & Wendy. Mike and Wendy had quite the trip getting here which was chaotic and can be read about in its own blog entry here. On Monday we headed up in the rain to meet Mike & Wendy in Blairsville, Georgia. Luckily the rain had pretty much stopped by the time we got to Jasper, Ga. We lead them on a nice ride that included curvy Georgia Highway 17 going south, along the head waters of the Chattahoochee River towards Helen from Brasstown Bald. 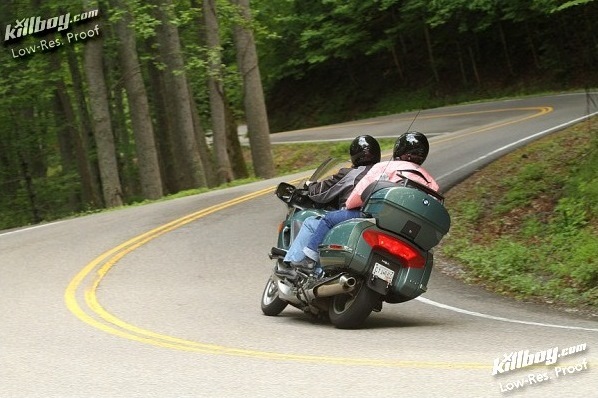 We shot on over to US 129 and took it back towards Blairsville by heading up Blood Mountain with all its curves. I guess I picked the right roads judging from Mike’s comments! I also did something I had never done before. It’s not uncommon for me to scrape the side stand at times in a left turn, but that day I even scraped the left foot peg! Wow! If you look at some of the pictures of our motorcycle here you’ll see how high the pegs are and get an idea of how we were leaned over. 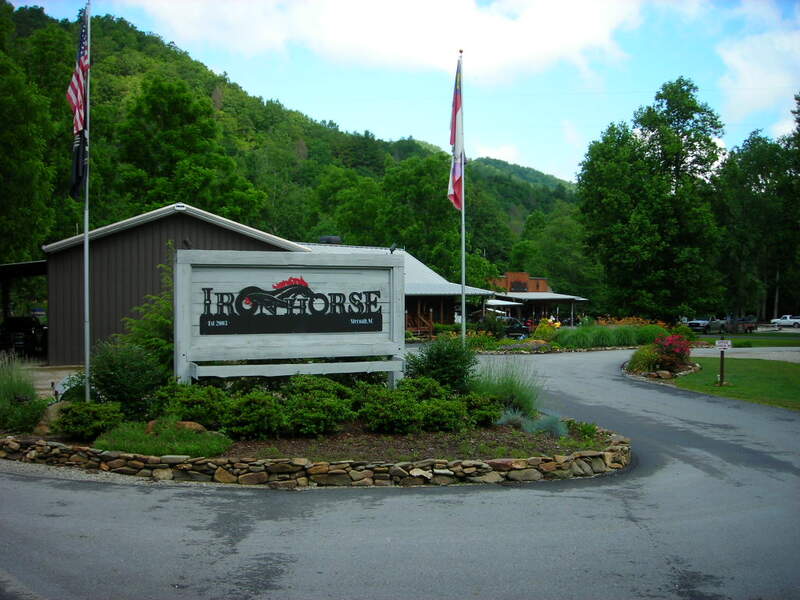 We lunched in Blairsville before taking US 129 all the way to Robbinsville, NC and then on to the Iron Horse where the evening was spent around campfire. 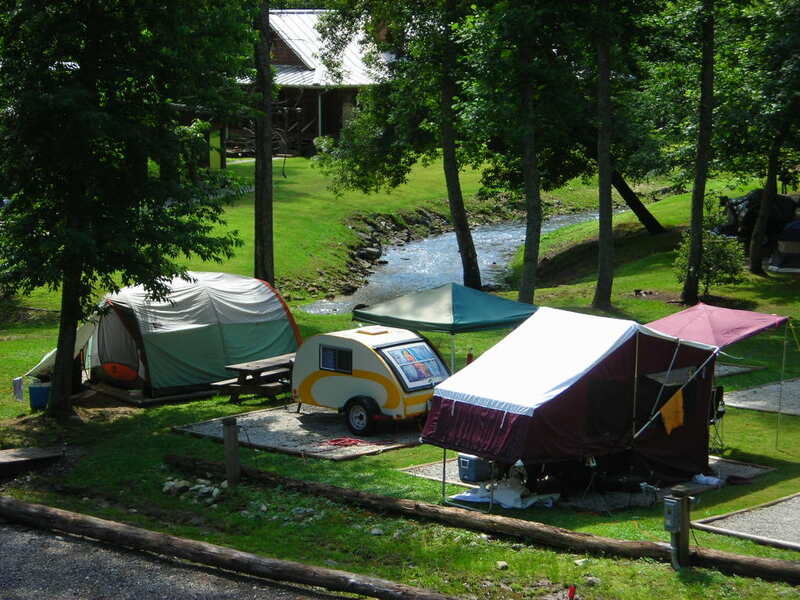 While at the Iron Horse you can camp in tent, bring your camper or motor home (but you better bring your motorcycles too), stay in a semi-private cabin room (with a shared bathroom) or in a private cabin room (with your own bathroom) like we did. 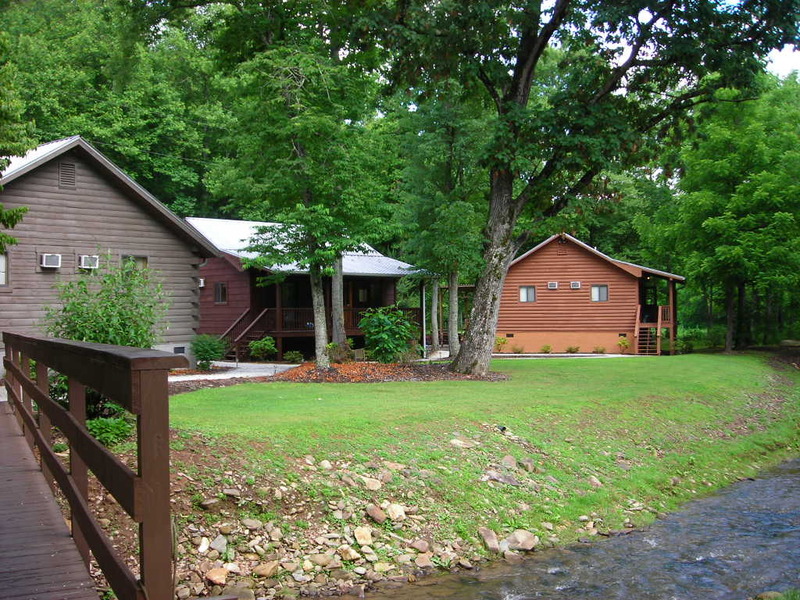 I liked the cabin, especially since it rained that night! 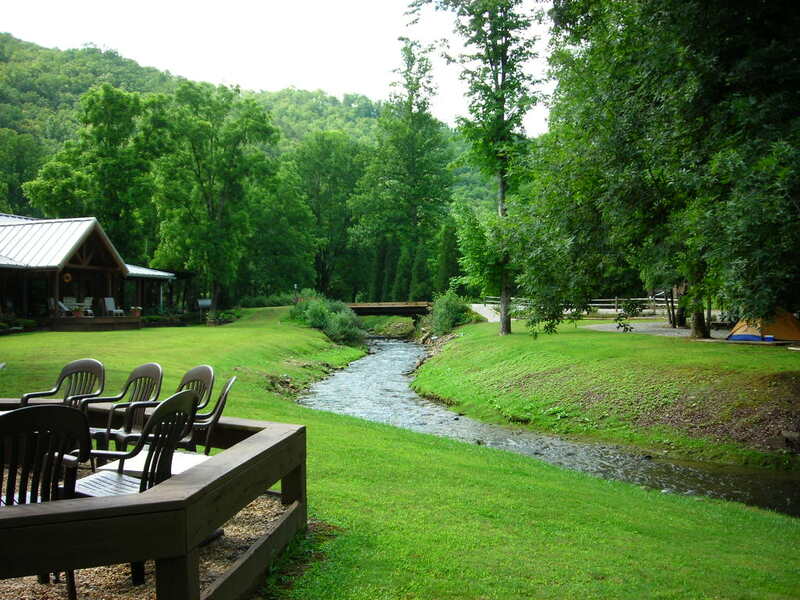 The video below was shot the next morning and you can hear the creek. On Tuesday, Mike & Wendy had planned to ride some of the local roads including the Cherohala Skyway and the Tail of the Dragon. As this was their vacation we didn’t want to get in their way and wanted them to go off and have all the fun the roads would give them. We took it easy and chatted with some of the other motorcyclists there at the lodge before heading off to ride too. We had planned on riding to Franklin, NC and coming back on Wyah RD but we got a late start and did the tourist thing and road NC28 over to Deal’s Gap and rode The Tail Of The Dragon. Mike & Wendy however were off enjoying themselves and came back just in time for dinner! That was the plan, to have a great time. On Wednesday morning it was time to say our goodbyes. Mike & Wendy packed up and headed for the Blue Ridge Parkway where they’d stop in Blowing Rock for the night. Depending on the route home, the Iron Horse is only about 2 1/2 hours from home for us, so we enjoyed the morning before departing. While Mike had problems in the beginning of his trip, we experienced ours on the way home. Not far from home I noticed something “wet” on my J-pegs or highway pegs and wiped it off with my foot. It later reappeared only then I noticed it was slippery. Then I noticed the front brakes weren’t the “grabby” servo assisted type was used to but still had plenty of braking power. Our front brake line had developed a leak. Oh well, it looks some work in my future before we ride again. All in all it was great to ride up and spend a few days with some new friends. I got to show off some roads here in Georgia. 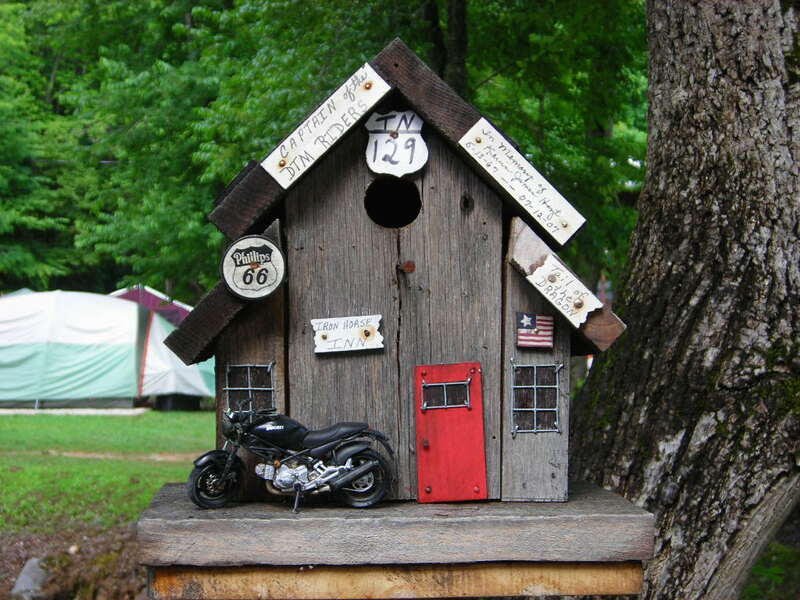 We all got to know each other over meals and lounging around at the Iron Horse and sitting around the campfire at night with other motorcyclists. I’ll tell you this though, while we were there, Harley Davidson and BMW were the dominant motorcycles with few of any other brand. There was literally a 50/50 mixture of Harley Davidson and BMW motorcycles and depending on the day, one only had a few more present than the other.